With clients who fail to pay the minimum pension payments for TRISs potentially up for illegal early release and significant penalties, SMSF practitioners have been urged to pay close attention in this area. 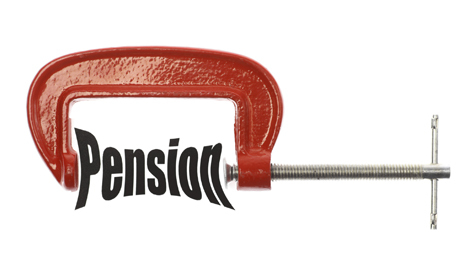 With failure to pay minimum pension payments for TRISs potentially resulting in illegal early release and significant penalties, SMSF practitioners have been urged to pay close attention to their clients’ pension payments. Speaking in a webinar, DBA Lawyers director Daniel Butler said SMSF clients who have a transition to retirement income streams (TRISs) and have not yet retired can land themselves in serious trouble where they fail to meet the minimum pension payments. Where a client fails to make the minimum pension payments, the pension ceases for that income year and the withdrawn amounts become a lump sum, he explained. Typically, most TRISs contain preserved money only, and it is only possible for a member to take preserved money as a lump sum once the member has retired, he said. “If it is preserved money then effectively you have an early release on your hands,” warned Mr Butler. Therefore, unless the member has an unrestricted non-preserved amount, the fund has contravened a very important operating standard and the ATO could decide to “apply the full force of the law”, he cautioned. “[Consequently], the client could get slammed with fully assessable income, even though the money from the TRIS was tax-free,” he said. Mr Butler said it is vital therefore that SMSF practitioners stress to their clients the serious consequences that can arise from failing to make the minimum pension payments for their TRIS, especially where the client hasn’t retired.